Canadian Lawn Mower Class Action — Deals from SaveaLoonie! With the snow falling outside right now, your lawn mower is likely the furthest thing from your mind. 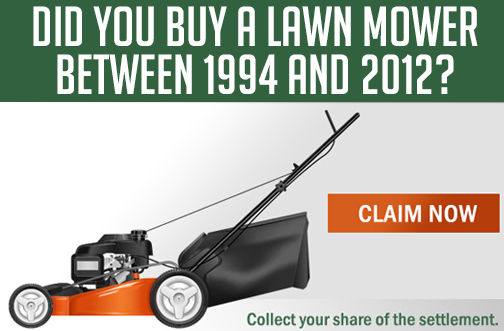 But if you purchased a lawn mower between 1994 and 2012 – you could be entitled to CASH COMPENSATION! In 2010, class action proceedings began against various lawn mower and lawn mower motor engine manufacturers. These class actions claimed that the companies who manufactured the engines and the law mowers containing them, knowing mislabeled products to shower a higher horsepower rating than what was actually in the lawn mower. The lawn motor and lawn mower engine manufactures involved in this class action are Briggs & Statton, Electrolux, Honda, Husqvarna, John Deere, Kawasaki, Kohler, MTD, Tecumseh and Toro. See the FAQ’s section of the claims website for a complete list of brands of lawn mowers which may be eligible for compensation. You DO NOT need any documentary proof to make a simplified claim. If you have proof of purchase and/or horsepower you may be entitled to additional compensation. You have until May 22, 2019 to file your claim. Claimants have the choice of receiving payment via eTransfer or by standard check. It can take up to 1 year after the claims deadline for payments to be issued as each claim has to be individually verified & the monies allocated accordingly. 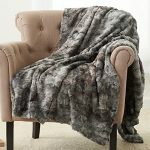 Pinzon Faux Fur Throw Blanket 50" x 60"